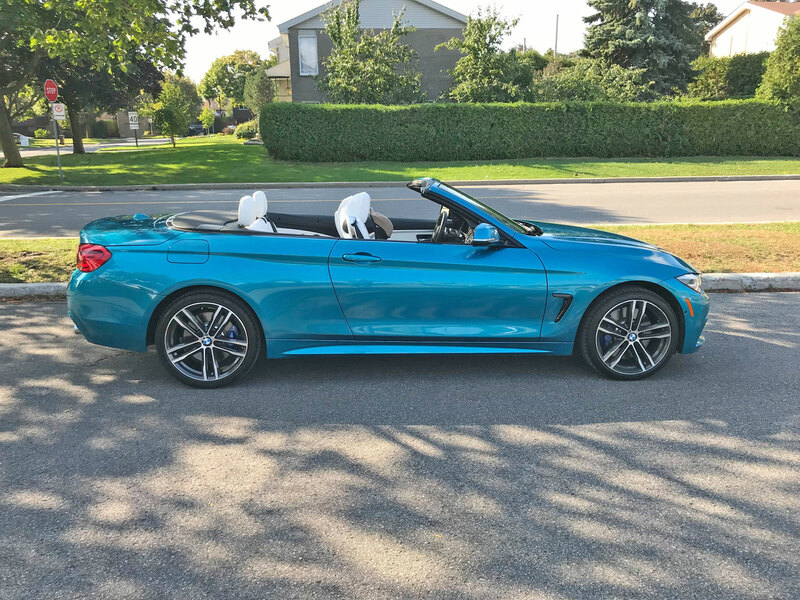 The BMW 440i Cabriolet xDrive is perhaps the ultimate summer toy that can be used year-round in this province’s wacky climate. 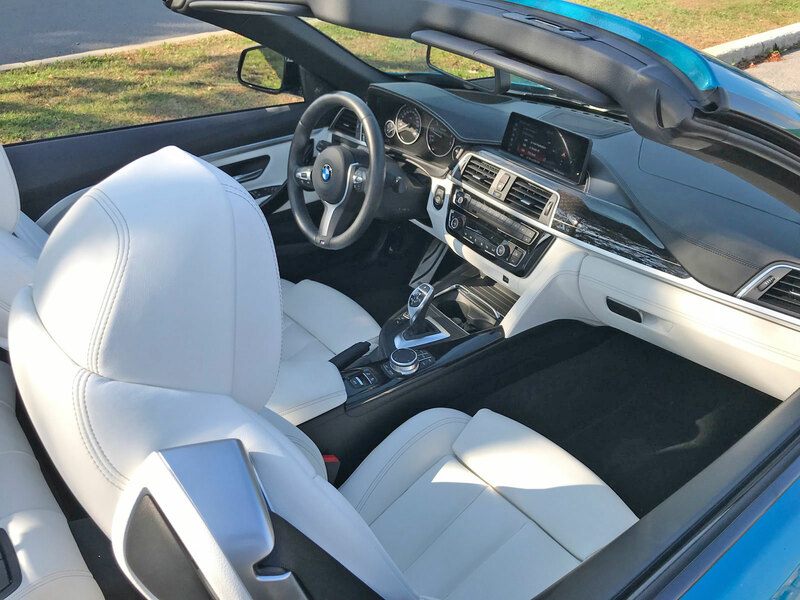 With top-down fun during the scorching summers months and protection from the harsh winter thanks to its superb folding hard top the 440i cabrio is a one-stop shop. 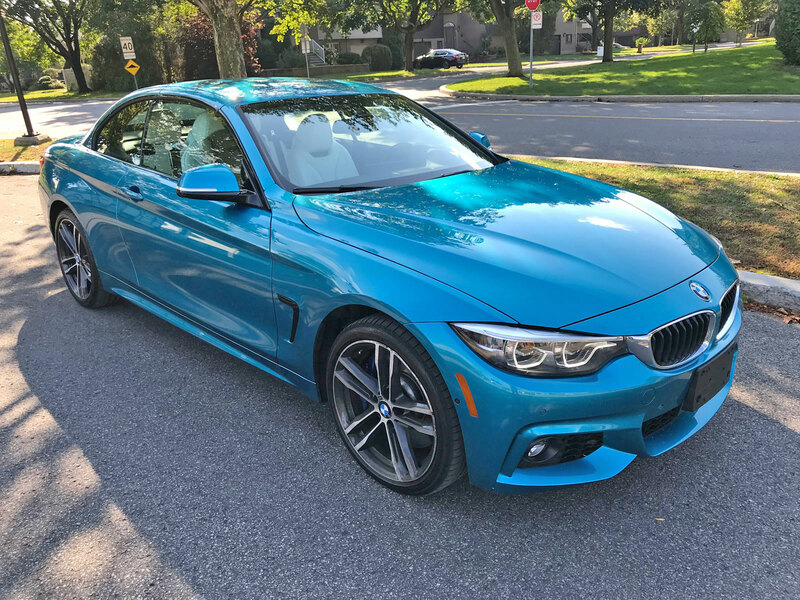 For 2018 we see a slight refresh for the 4 Series known as the Life Cycle Impulse or LCI. Midway through a design’s lifespan, small changes are made to keep it looking fresh. Restyled LED headlights take the place of the outgoing cars’ xenon units and all models in the range are now equipped with LED front foglamps as standard. 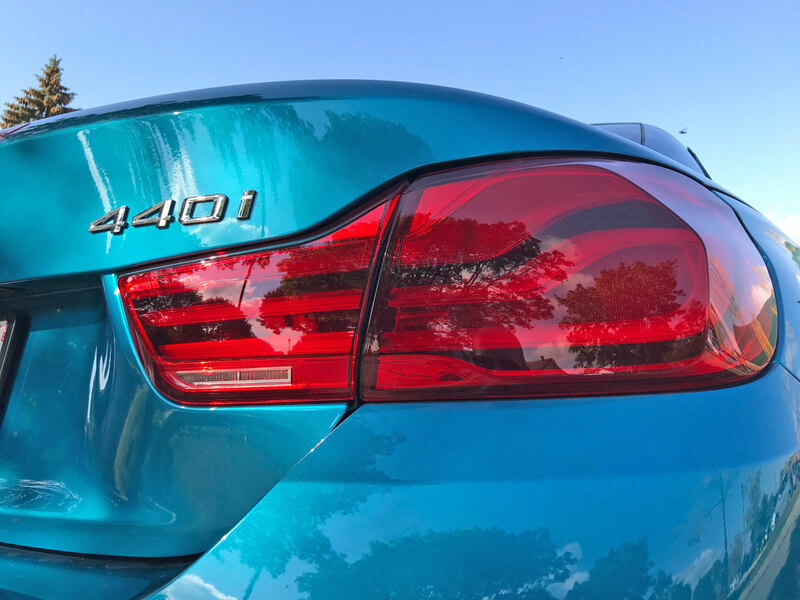 LED taillights are now fitted on the BMW 4 Series “for the first time”. 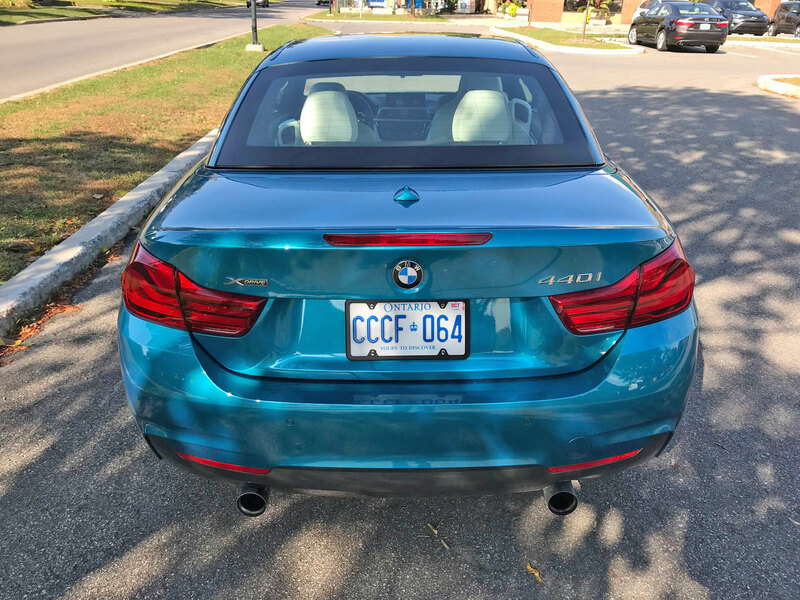 I feel the need to point out that the 2012 3 Series coupe (the car the 4 Series replaced) had LED taillights. 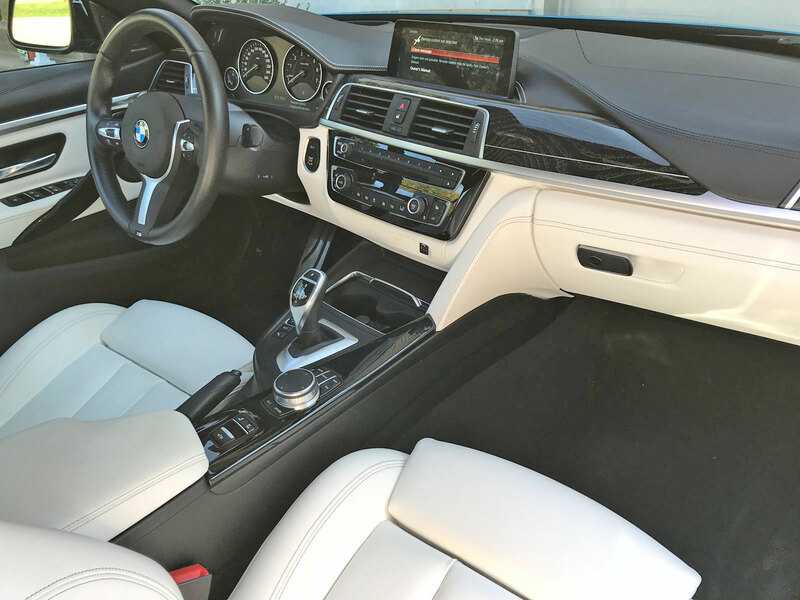 BMW chose to frustratingly downgrade them on the new 4 Series only to re-upgrade them at this point in time. Hopefully a similar downgrade won’t occur when the next generation 4 Series is released. Modified air intakes, line-specific applications and the new rear apron are further aspects that have been re-touched. 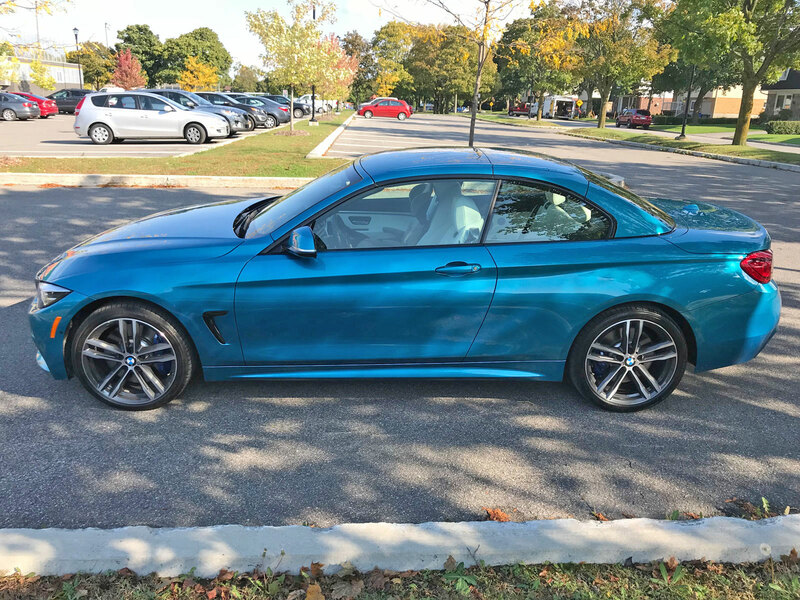 Along with the exterior upgrades BMW is also offering two new paint colors including the beautiful Snapper Rocks Blue that our test vehicle came in. It garnered considerable attention at the local Cars and Coffee meet I attended. New upholstery choices and a new wheel design are also available as part of the LCI. 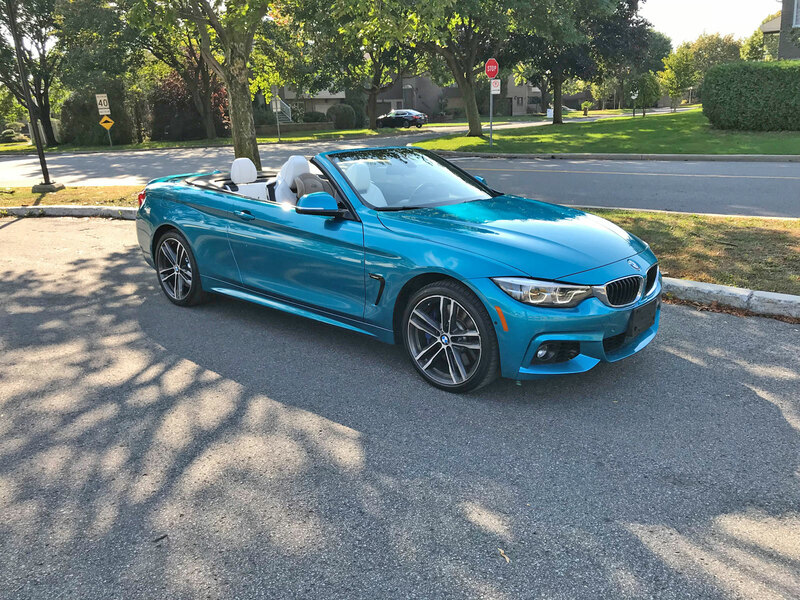 This convertible is a full on hard-top meaning you have a solid rear glass window and metal roof as opposed to a folding cloth one. The advantages of a hard top are obvious: better protection from the elements, better noise protection, very little air leakage etc. The downside is that it takes up almost all of the trunk space when retracted save for a tiny school bag sized area. There is some space under the assembly but it’s not accessible unless you push a button to raise the folded roof as a whole to expose it. If you want to go on a road trip with the top down, whatever luggage you want to bring will need to be stored in the back seat. The top can be lowered up to speeds of 20 km/h and takes about 20 seconds to fully contort itself into the trunk. It’s an amazing piece of technology however I wouldn’t want to guess what the repair bill would look like should it ever break. 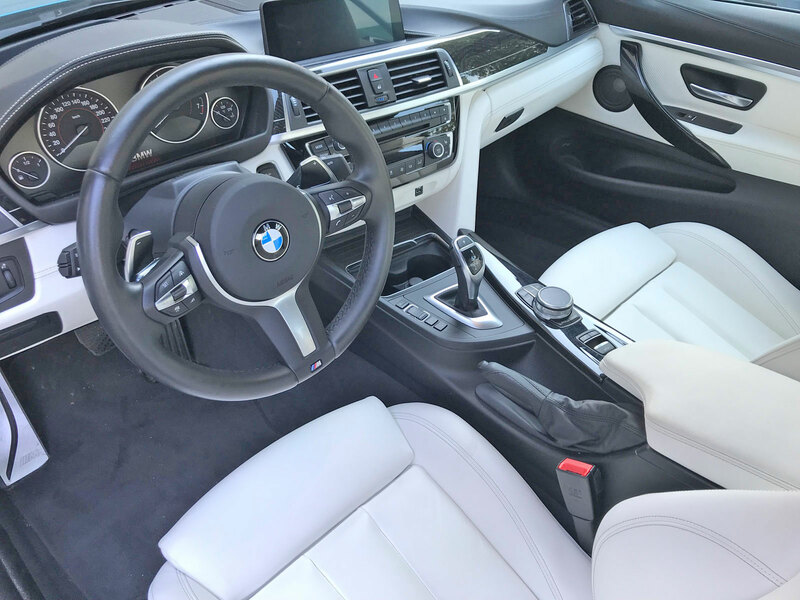 The dazzling white interior of the test vehicle went perfectly with the new paint color. 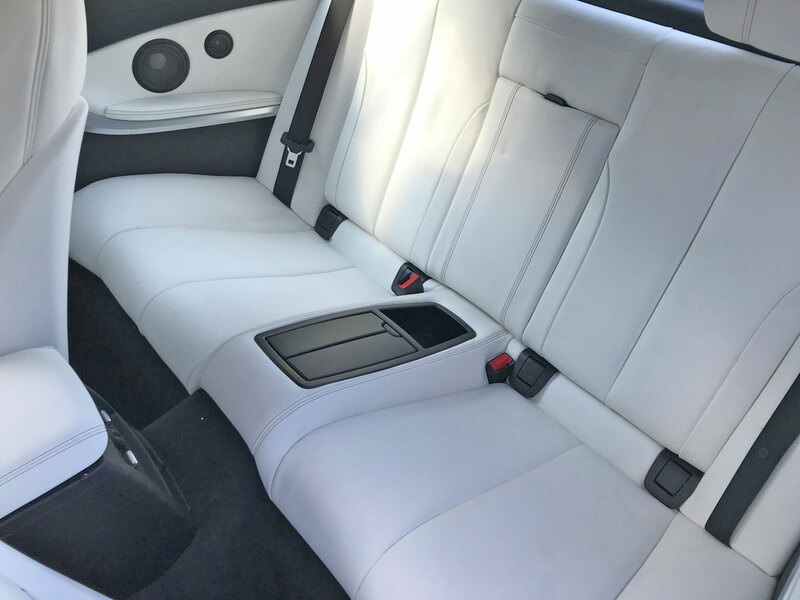 I’m not sure I’d ever want to actually own a car with white seats because after just one week I could see every scuff and every piece of dirt that I had tracked into the vehicle. 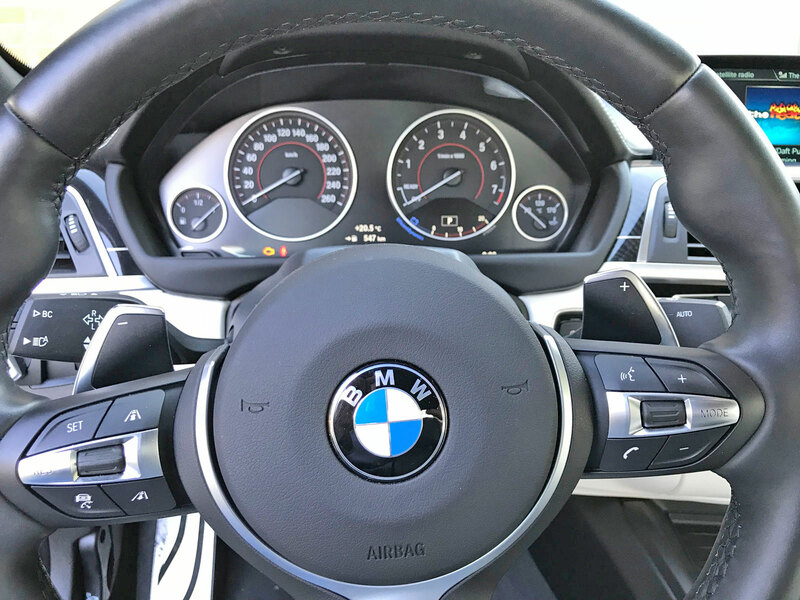 As lovely as the interior is, BMW should consider revamping the esthetics of the dashboard to spice things up a little. I think too much emphasis is being placed on functionality rather than beauty. 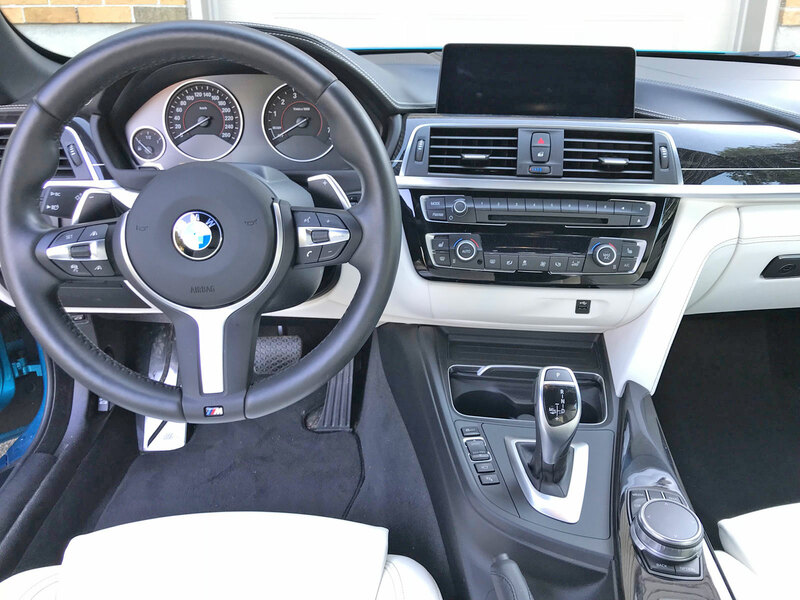 That being said I do love the functionality, especially the iDrive knob on the lower console next to the hand brake. Being able to control the menus without needing to raise your arm is absolutely key and trumps any esthetic shortcomings. I’d like to see the menu system streamlined a little as there are too many levels to descend into. Perhaps the most impressive takeaway from my week with the 440 cabrio was the car’s performance. I didn’t expect the 440 to be as insanely powerful and thrilling to drive but the 3.0-litre turbo six cylinder is a beast with its 320 horsepower and 330 lb-ft of torque. 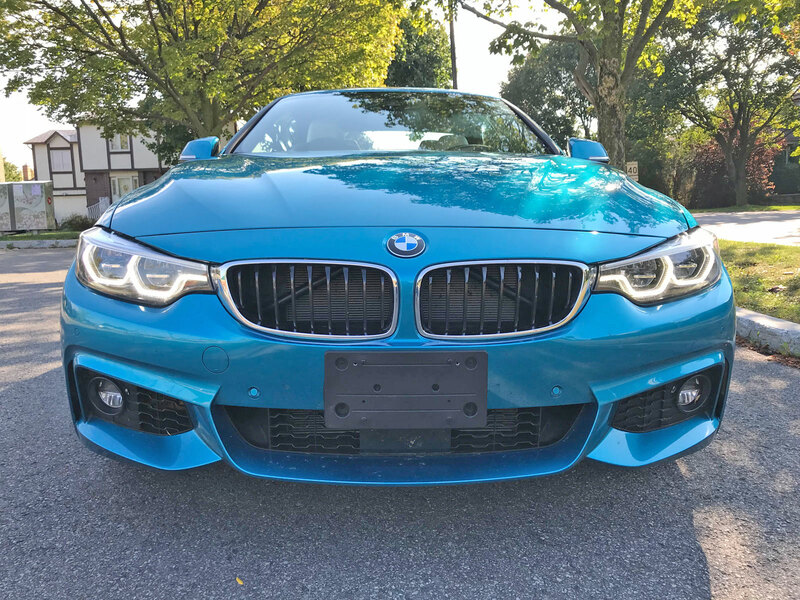 The addition of both M Performance Packages and in particular the M Performance exhaust gave this 4 Series an M4-like persona, bumping power by 35 horses and torque by 30 lb-ft.
Start the car and it roars to life with a beautiful sound. 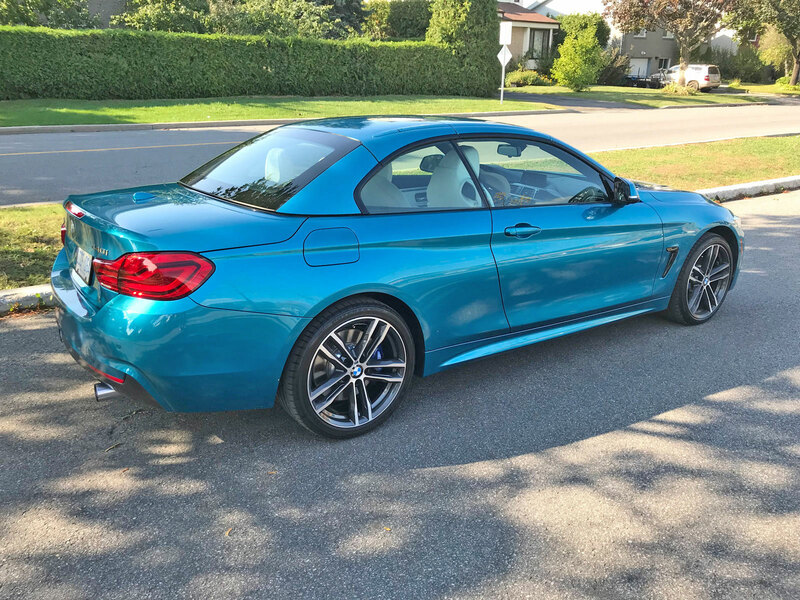 If it’s early and you don’t want to wake the neighbors then putting the car in eco mode quiets everything down to a whisper. 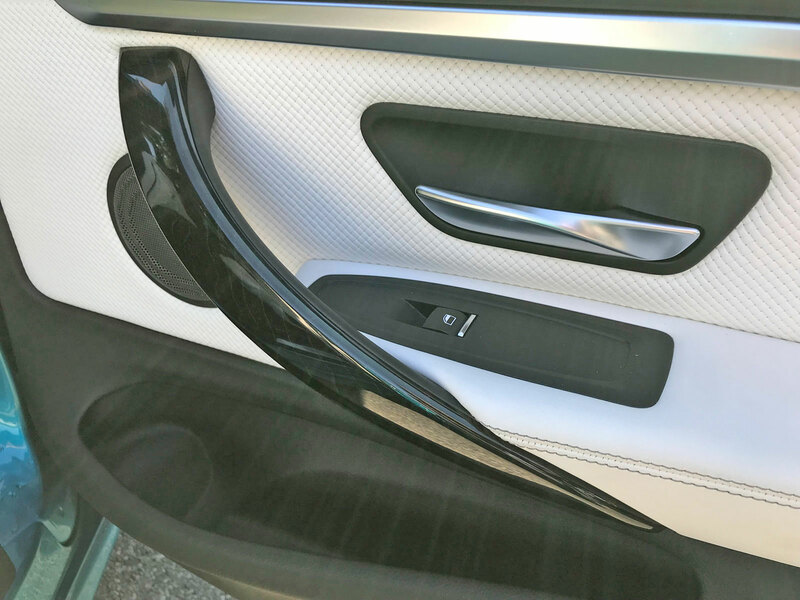 Once you’ve safely exited the tranquility of your neighborhood on the way to the autoroute, you can hit sport mode to open up the pipes to let the air flow in a big way. I felt like a kid at Christmas when I stepped on the gas. Let go of the throttle and the car reacts by backfiring like a supped-up Nissan GT-R (okay not that loud but still pretty friggen loud!) My kids got a heck of a kick from the sounds as well as whichever pedestrian happened to be walking on the street. 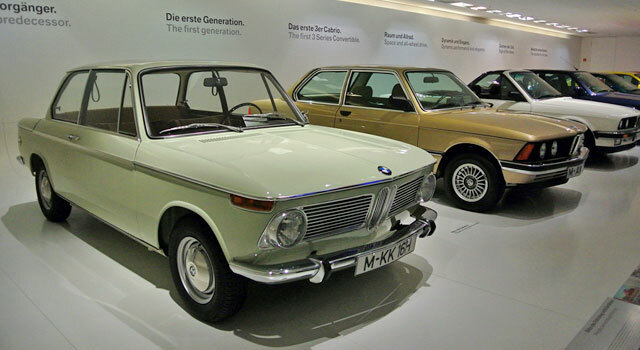 The 440 cabrio was smooth, powerful and nimble in every possible way which is surprising because normally convertibles are a bit wobbly due to extra weight from the required structural reinforcement. It will cost you to have all of this fun, however. The M Performance I and II kits together will retail at $4800 but you don’t just get the exhaust system. 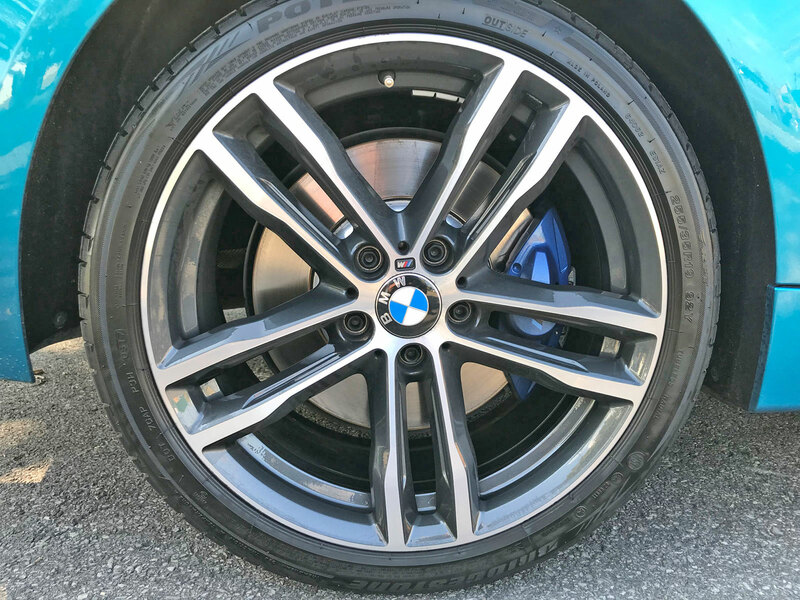 Included in the first kit are 19” wheels, sport steering, adaptive suspension and M Sport brakes for $1900. 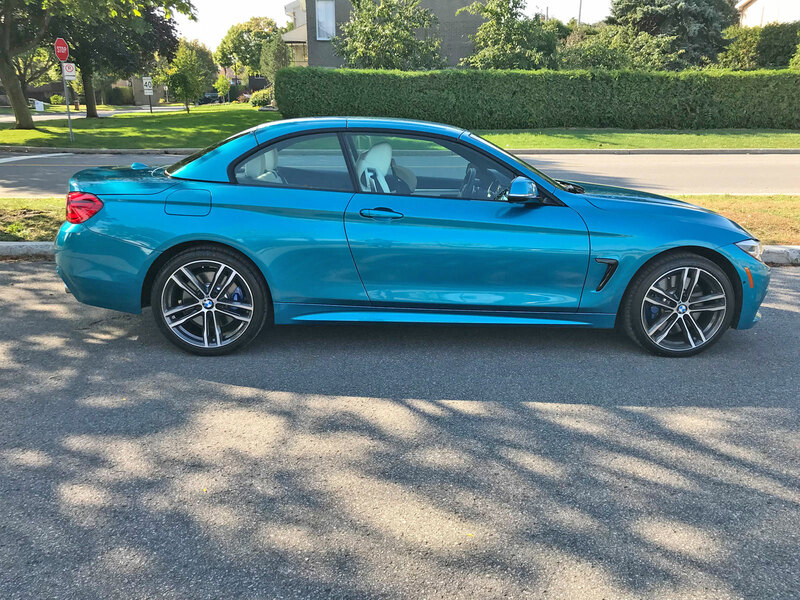 The second level features the M Power kit and my precious exhaust system for $2900. 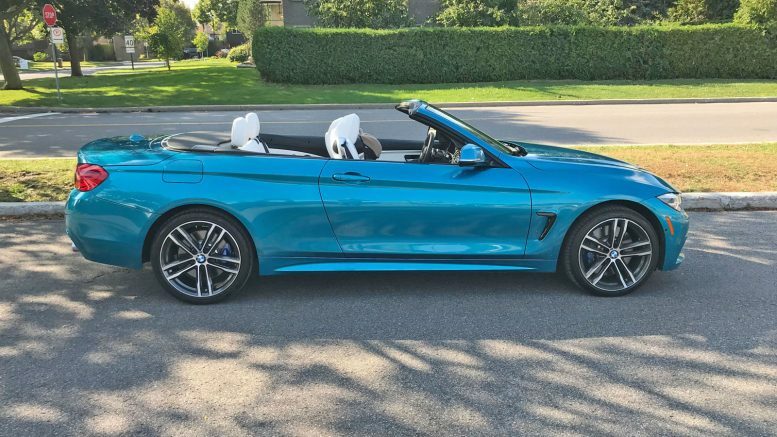 The convertible itself is about $10,000 more expensive than the coupe and starts at $72,050 before transport and prep. 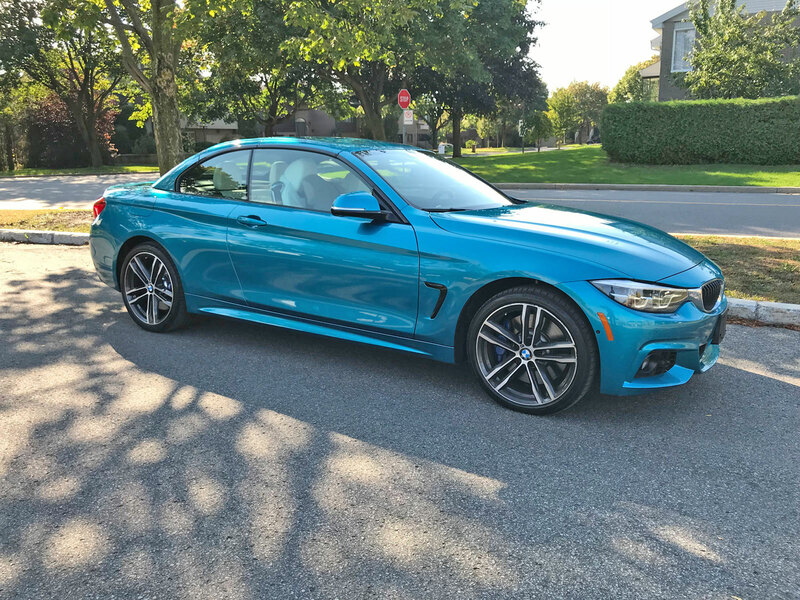 The M Performance options coupled with the premium and driver assistance packages totaled over $14,000 and the tester’s MSRP was a hair under $90,000. That’s a heluva amount of cash. I thoroughly enjoyed the 440i cabrio more than I would have though (and I’m not even a convertible guy). The quality engineering, comfort and performance levels are hard to match and provide a best of all world scenario. Just be prepared to pay M4 money to be able to attain them. 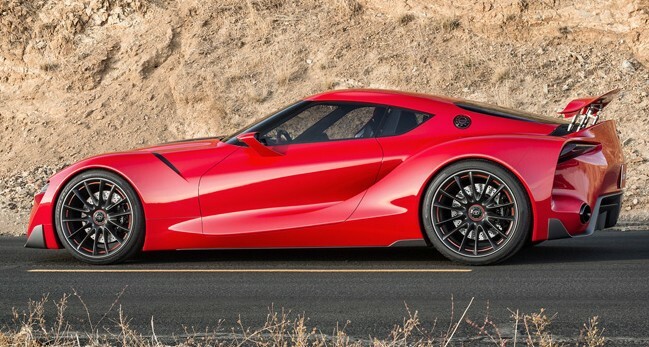 La Toyota FT-1 aura-t-elle un six cylindres de 400 chevaux?